The location was AWESOME. The room, big, immaculate, beautiful (and smelled good). The building, historical, interesting, and brilliantly quirky. The family game room and fitness center, well-maintained and just what we needed after long days touring. The staff, outstanding — the courtesy and friendliness here was almost shocking. Everyone, from the ladies in the breakfast room to the housekeeping staff to the floor managers to the folks at the front desk, seemed to like what they were doing and that translated into a great guest experience for us. Great staff, location and infrastructure for a city hotel. The architecture and history of the historic building. Staff was friendly and helpful. Room was beautiful and comfortable. Great location. 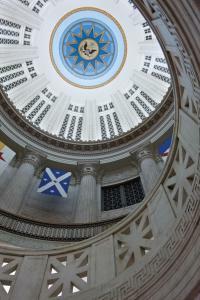 From the moment we walked into The Custom House we were treated amazingly!!! The rooms and view were spectacular! Every person we encountered working at this hotel greeted my daughter and I so warmly and were SO accommodating! The location has so much history and is breathtaking! We cant wait to go back!!! The accommodations were fantastic and we had a great view. We are used to staying at Four Seasons quality hotel rooms and this room came close. We had a spacious enough living area, dining table and kitchenette. The bedroom was nicely appointed, with a comfortable king size bed. 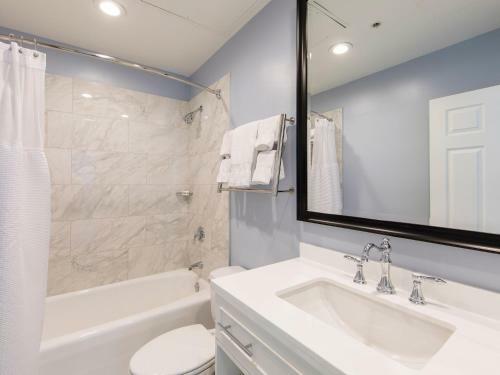 The bathroom was beautiful and very clean. This is a historic hotel and we loved learning about the history. 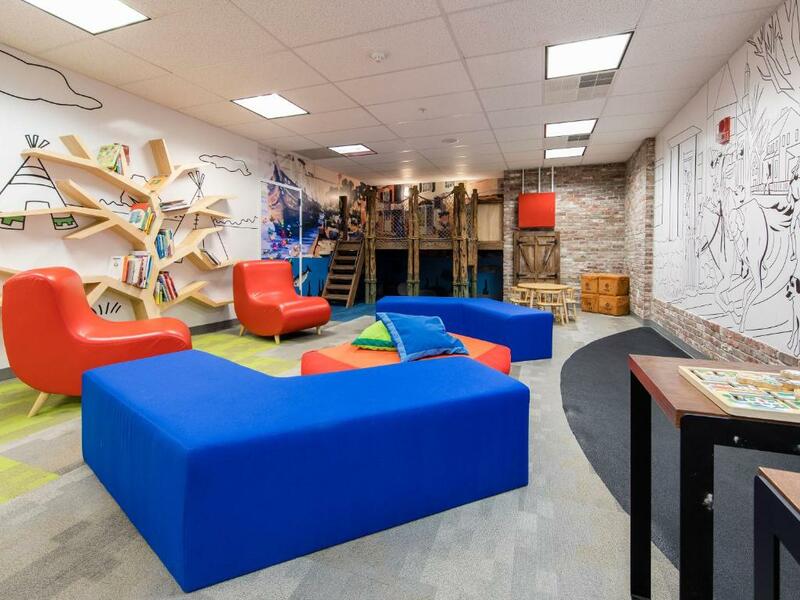 It has fantastic facilities for kids, including a very large kids playroom that has costumes as well. There is also a pool table and game room. We loved going to the top floor which had amazing views of the city. 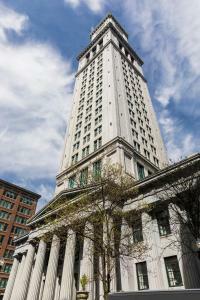 The hotel is centrally located, near the aquarium and Faneuil Hall. The suite was very clean and comfortable. The staff was very friendly as well. Everything ! Excellent staff , cosy & excellent room, excellent location , the observation view is terrific...It's worth the rate ! The location and space in this property were perfect for a family! Lock in a great price for Marriott Vacation Club Pulse at Custom House, Boston – rated 9.3 by recent guests! 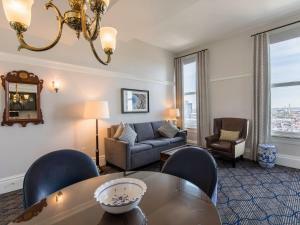 Marriott Vacation Club Pulse at Custom House, Boston This rating is a reflection of how the property compares to the industry standard when it comes to price, facilities and services available. It's based on a self-evaluation by the property. Use this rating to help choose your stay! This Boston hotel is one mile from Boston Commons and 4 miles from Fenway Park. The hotel features a gym and suites with a kitchenette. 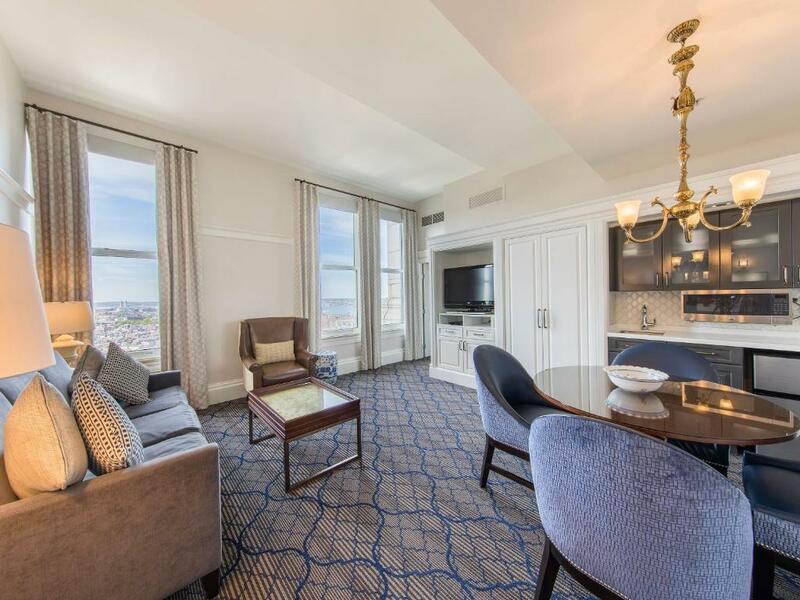 Marriott’s Custom House suites include a microwave and DVD player. The spacious suites have a separate living and dining area. 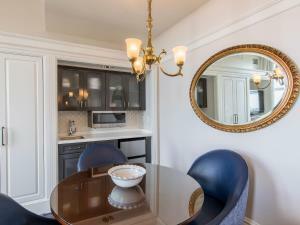 The kitchenette includes amenities like a microwave, mini-refrigerator, toaster and kitchenware. Guests at the Marriott’s Custom can play in the game room or use the laundry facilities. The hotel also has a 24-hour front desk. Custom House Marriott is 4 miles from Constitution Beach. Pleasure Bay is within a 10-minute drive of the hotel. Financial District is a great choice for travelers interested in harbors, food and restaurants. 뀐 Located in the real heart of Boston, this property has an excellent location score of 9.8! 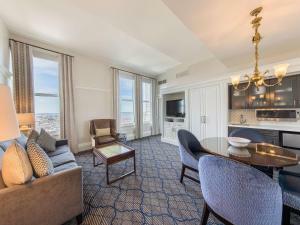 When would you like to stay at Marriott Vacation Club Pulse at Custom House, Boston? This spacious villa includes a flat-screen TV with cable channels, a sitting area with sofa bed, and a dining area. Public parking is available on site (reservation is not needed) and costs USD 45 per day. 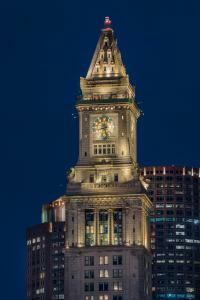 Standing watch over Boston Harbor in timeless splendor is Marriott's Custom House. 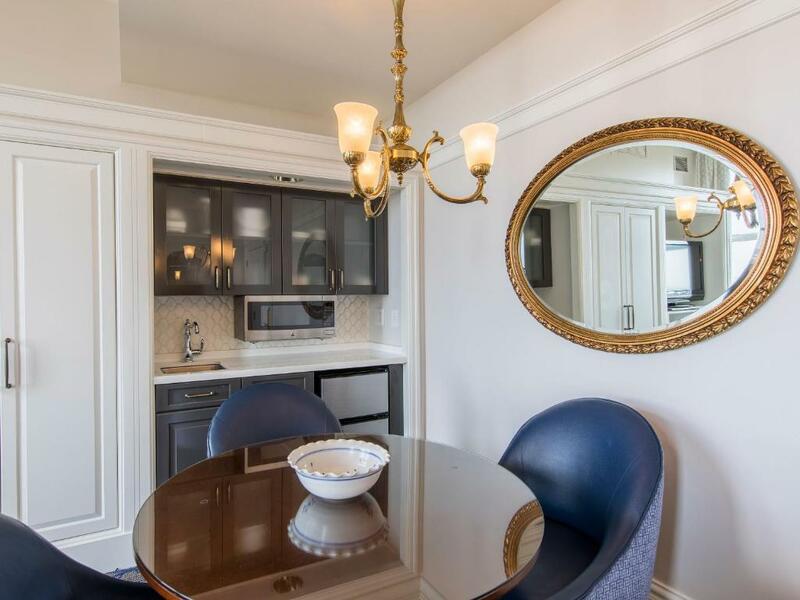 High ceilings and Colonial furnishings add to the sophistication of your elegant one-bedroom suite with separate living and dining areas and a convenient kitchenette. Our resort is within walking distance to many of the city's most popular destinations. 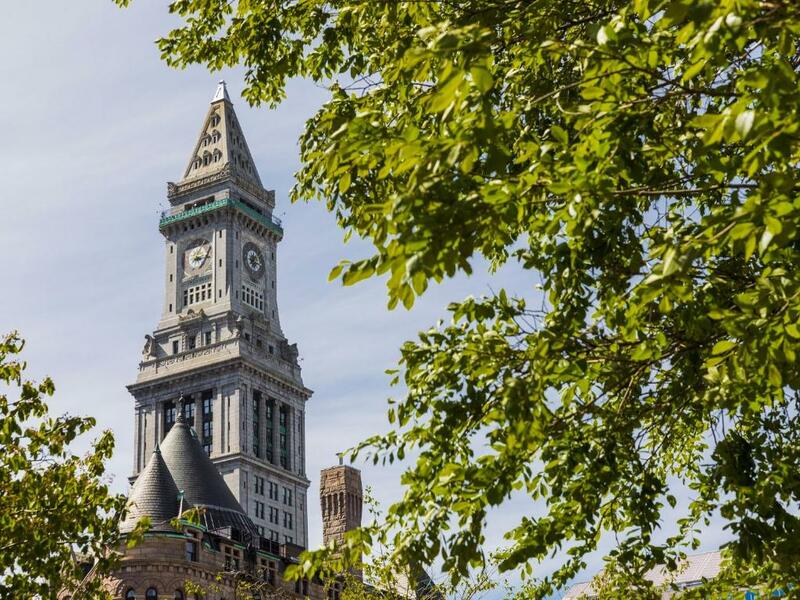 Visit Faneuil Hall Marketplace, Quincy Market or take a stroll along the waterfront. 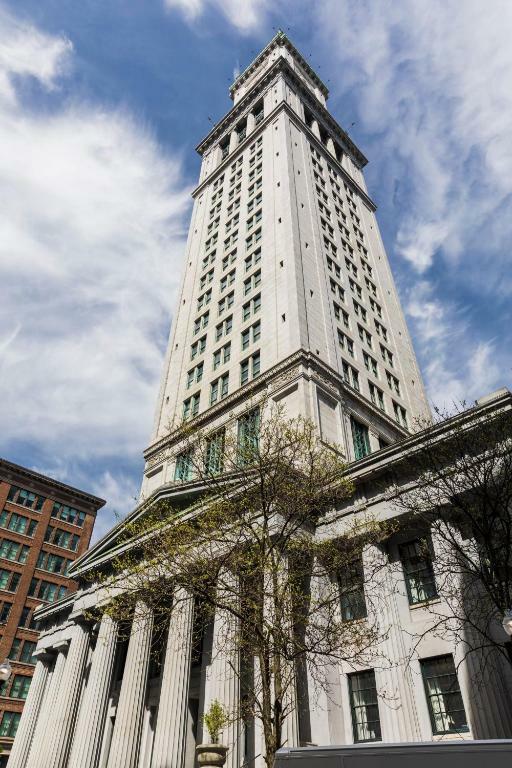 Follow the red bricks along the Freedom Trail for a learning about Boston's rich history. 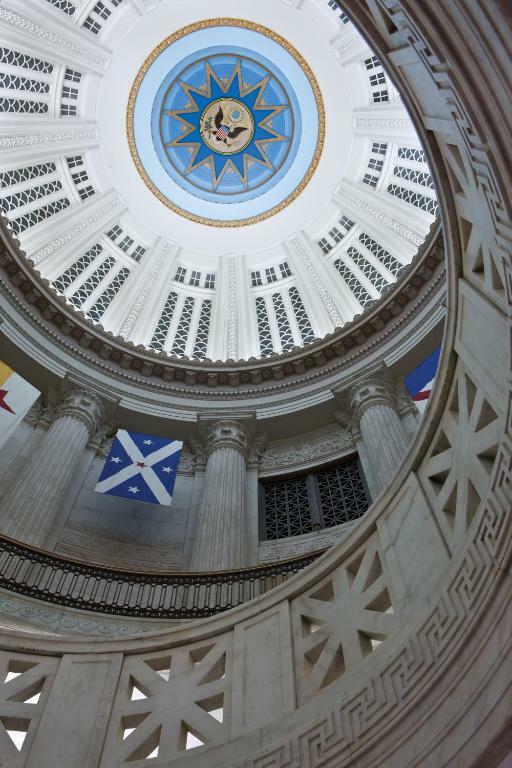 There are endless things to do and see near Marriott's Custom House. Area Info – This neighborhood is a great choice for travelers interested in harbors, food and restaurants – Check location Excellent location – show map Guests loved walking around the neighborhood! 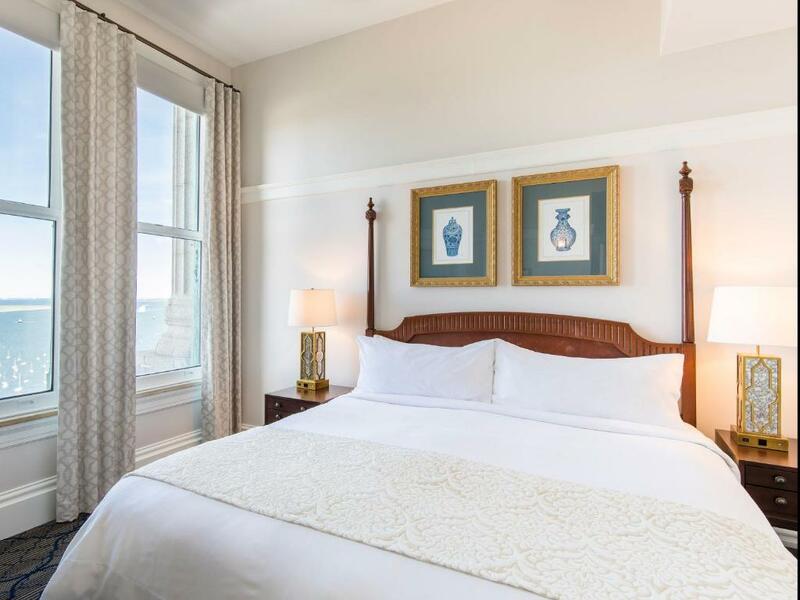 House Rules Marriott Vacation Club Pulse at Custom House, Boston takes special requests – add in the next step! Marriott Vacation Club Pulse at Custom House, Boston accepts these cards and reserves the right to temporarily hold an amount prior to arrival. Please note, guests are required to sign up for the hotel’s free Reward Program in order to obtain complimentary WiFi access. We would have loved a better breakfast experience but understand the limitations. The counting room is a neat environment. So, it made the boxed cereal taste better. We stayed in the 2nd floor where you have a few steps of stairs between the elevator and the room. I was with luggages and a stroller. It was complicated. No restaurant or full bar. Great characterful hotel in excellent location. The staff were unfailingly friendly and polite. Fantastic view from observation deck. The staff was very friendly and helpful. The room was very nice - we really liked the layout (good for staying with young kids), the high ceilings, and the views. The bed was comfortable. The location was great, and the kids playroom and observation deck were great perks. Their breakfast is very basic. They have a la cart items that you can pay for. I would’ve liked a much more robust breakfast offering, ideally included in the rate.